Hello everyone, Leandra here with a brand new topic, a shiny topic! Foiling is not new, but it has seen a resurgence of interest lately. New brands of foiling papers are available in dozens of colours, some can be applied over glue and others need to be applied with heat.. through a laminator or foiling machine. 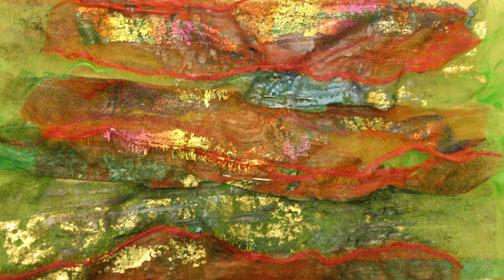 Kathe printed an image onto tissue paper, then added colour to it to make a postcard. Let's kick off with a video, this is a great one as it walks you through 2 techniques. 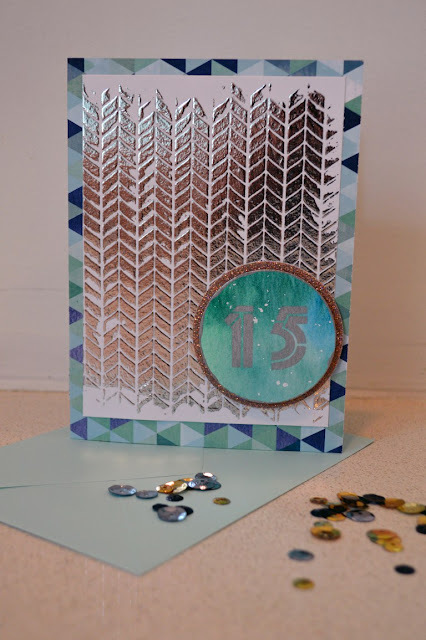 One uses embossing powder as a base and the other uses a toner print. Both go through a laminator/foiling machine and they have different end results. Foiling can add wonderful highlights to just small areas, if you want flashes of bling as you move the project then random spots of foiling can work great. Check out the foiled areas on these leaves. Like all shiny additions they catch the light more on raised areas, you can see on this canvas where the foil looks best over the raised glue lines. This is an age old favourite technique to explore with kids and adults alike, fun for everyone. You create the design with either glue or string and then apply regular old kitchen foil. Once this is set in place you add shoe polish or gilding wax to add colour and depth. Foiling looks wonderful on quite complex designs, lots of intricate details can be brought to life. If you really cannot get your head around the techniques of foiling then look out for some ready foiled papers, there are some stunning ones. you can keep it simple of layer them up for complex designs. 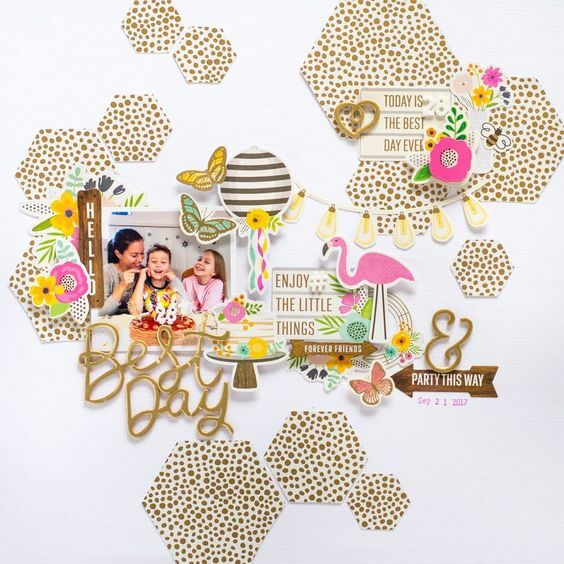 Here they are simple hexagons that add a wonderful element to this scrapbook page. 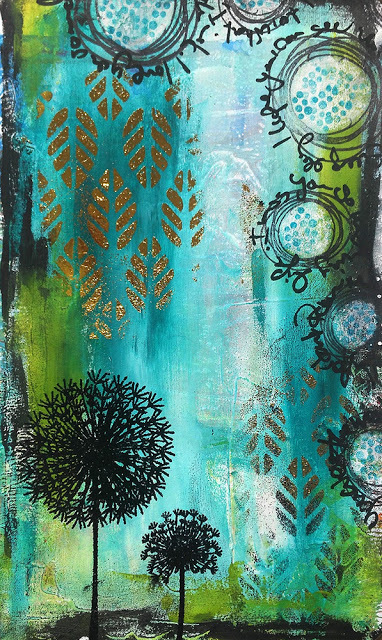 Another foiling technique, this time with stencils and screen ink, click through to see all the steps of this project. It really works brilliantly with stencils. In the same vein, although this does require some skill, but how about foiling a bit of hand-lettering? So I don't think anyone really likes their own hand writing (except we all LOVE JoFY's! 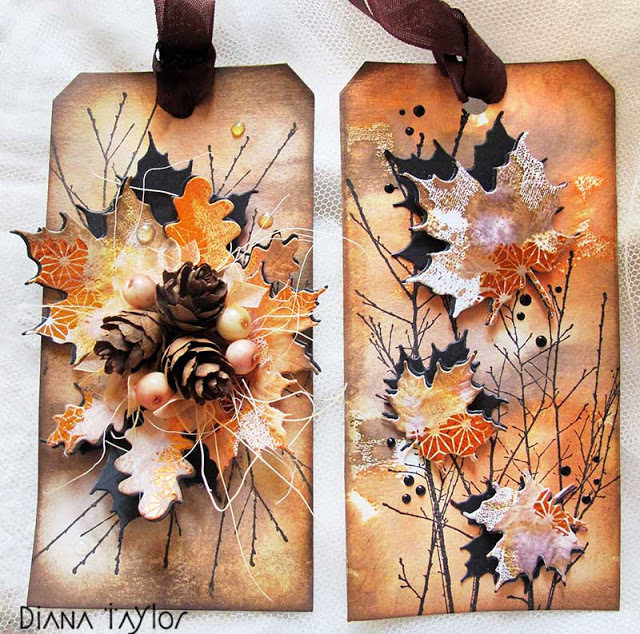 ), but I bet anyone could do scribbles Dina Wakeley styley that would look wicked foiled! So, perhaps if you try not to be perfect and you might be onto something! 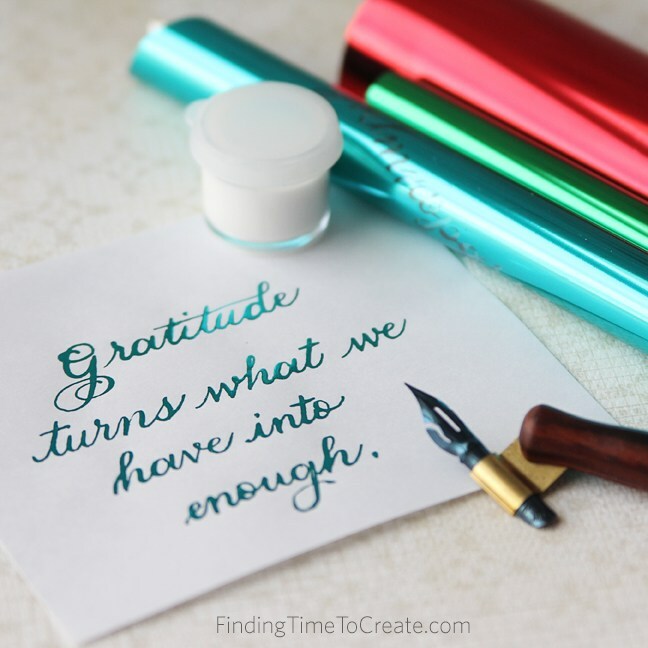 Here is a great tutorial from 'Finding Time to Create' Blog, link below the picture. 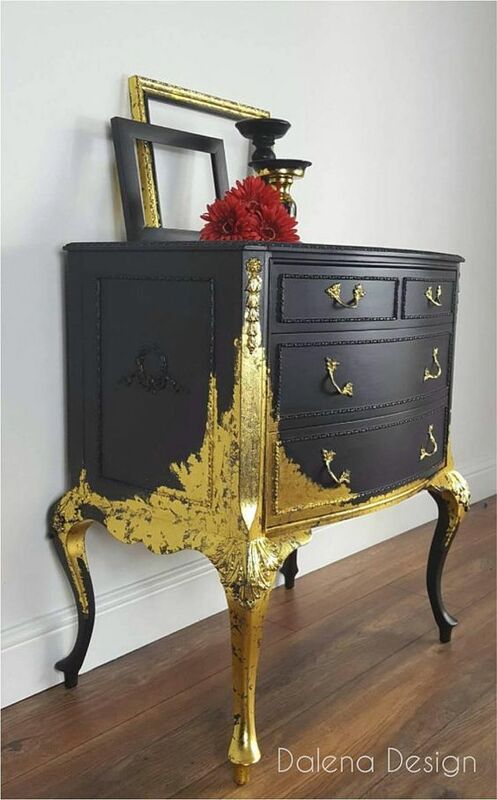 I think my favourite piece this week has to be this chest of drawers, how luxurious does this look! Foiling works on more than just flat paper or wooden substrates, this example is on bondaweb and organza. The resulting texture is fabulous. 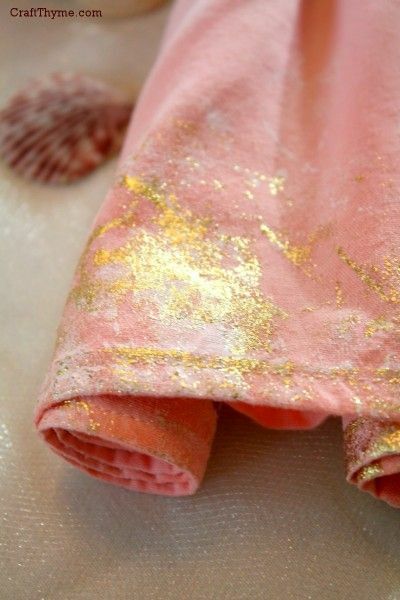 Metallic leaf always looks so scrumptious on fabric, an easy way to do this is with transfer adhesive and foil. 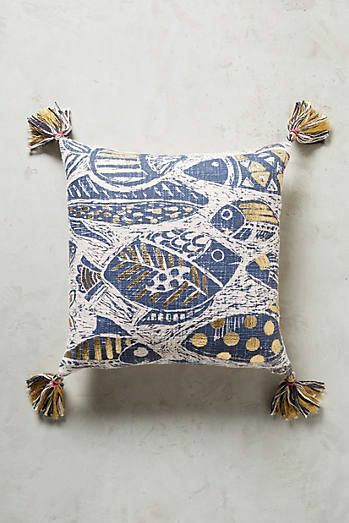 Here is a foiled cushion, those golden spots really lift the whole design. I could see this being done with many of our stamps. 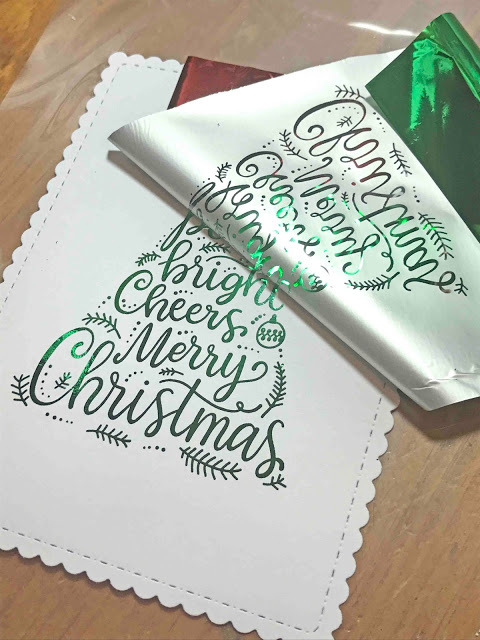 Another video now, this time 4 techniques for using foil but wihtout needing to use a laminator/foiling machine. 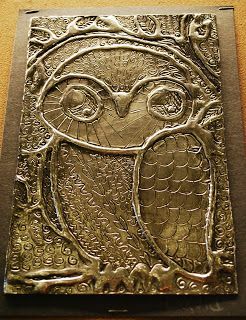 To end with I have a journal page for you, once the background was complete the highlights were added using WOW bonding powder and foil. 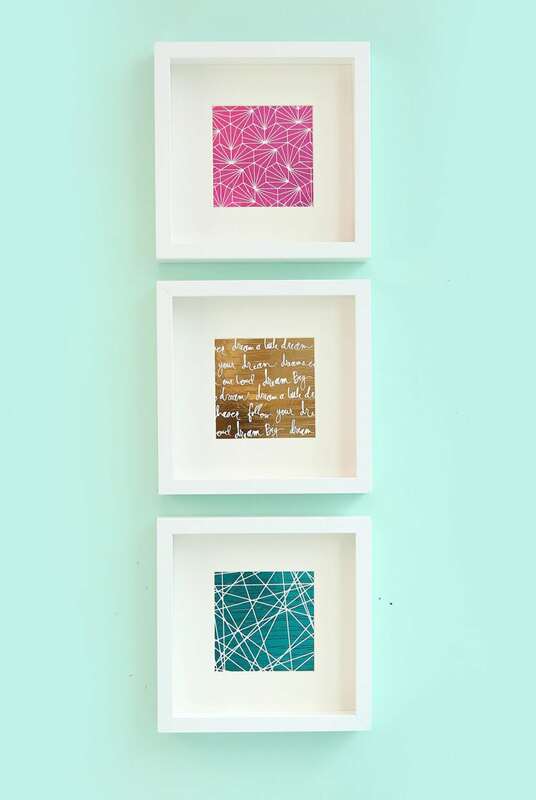 So whether you use glue, bonding powder or toner, whether you use a heat machine or the back of a spoon there are so many ways that you can have fun with foiling, I hope you will give some of them a go. Have a great fortnight and show us what you have made. oh wow - great topic - especially at this time of year. Amazing inspiration. I can't wait to see what the bloggers share. How fun . . . bling, bling, bling . . .great for making Christmas ornaments and cards. 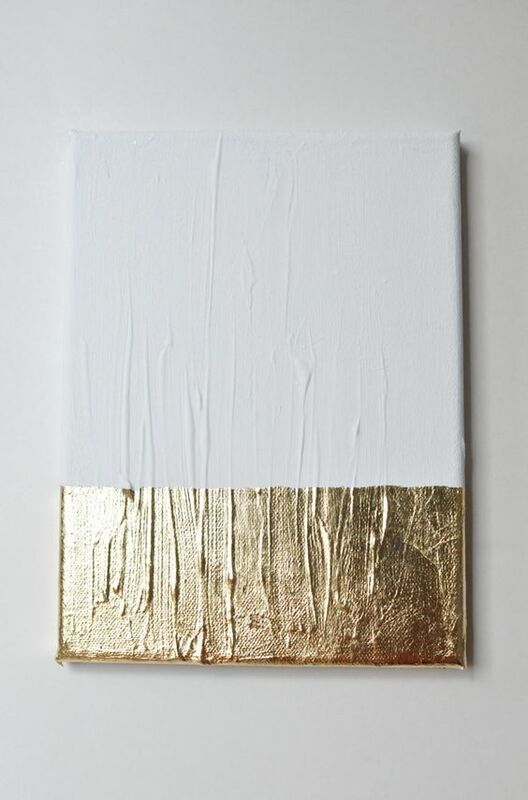 I've always loved Foiling since the last time it was hot-stuff - except all we needed then was some super sticky/tacky glue/paste - Jones's was it? 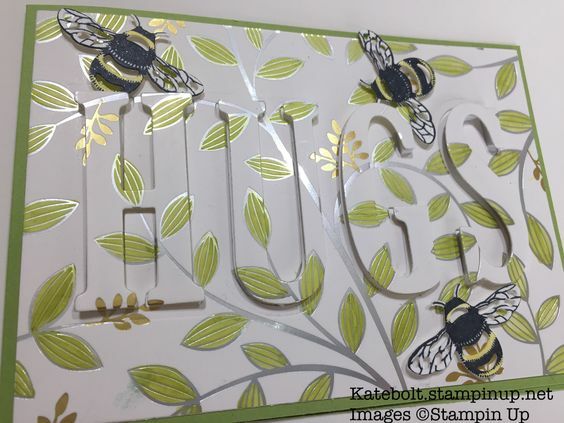 Now we have Paul Antonio's wonderful foiling plates c/o Spellbinders along with a hotplate that will go through any number of die-cutting and embossing machines! Super-cool hey! Well it's smokin'hot actually! I saw Paul Antonio Master-scribe in person at CHSI-stitches TRADE show back in February and I was blown away by the man's talents! Watching Paul at work could only be described as poetry-in-motion - and - I am the proud owner of half the quote he demonstrated his Art with! I tried to convince him to write the other half for me next year, sooo as the saying goes watch this space.....! I love writing I won a handwriting competition at school (back in 70's) and would love to take some Calligraphy lessons with Mr Paul Antonio in his studio in London. Adore the Gothic Illuminated lettering as seen in many Bibles of the time! Lovely projects here everyone! 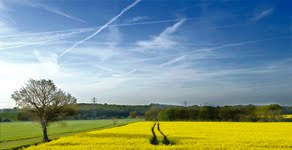 Good to see the gorgeous Stampin' Up! foiled dsp, via the lovely Kate Bolt, at the top of this blog entry! ;) I particular love that foiling goes just as well with fabrics as it does on paper - and other mediums too! So it's definitely going to get added to my Mixed Media projects when I find time to get back into my Arts & Crafts Studio from now on! What a great topic - I had to search through my stash (for ages) to find my leaf and sticky embossing powder! I have not touched it for ages. Thank you for reminding me, especially at Christmas when a bit of bling is perfect! Thank you for all the amazing inspiration and ideas. 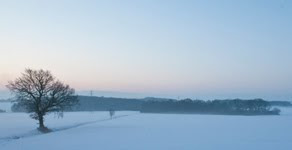 I am loving reading the posts and learning lots....Thank you x.